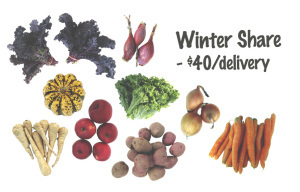 2014 WINTER South Bronx CSA shares are available! Order Today! 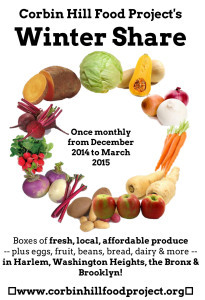 2014 WINTER South Bronx CSA shares are available! CLICK HERE TO LEARN MORE OR TO ORDER NOW! If you are interested in ordering a share or shares for an organization, let us know! Just like last winter, the Winter Share will be a produce box delivered once a month, on the second Tuesday of the month, from December through March. Each box will include 7-9 items, weighing 15-25 pounds — think hearty greens, apples, pears, winter squash, white and sweet potatoes, cabbage, carrots, beets, onions, garlic, and greenhouse lettuce. As always, we’ll pick your produce based on what’s in season and grown in New York State using sustainable farming methods. After that, our Web Store is stocked with a number of a la carte “Add-On” items that we source from the farms in our farmer network. Need a stocking stuffer? In the Web Store, you’ll find sweets and gifts — i.e., honey, maple syrup, jam, tea, and farm-made lip balms and hand salves. Sign up today, to keep the farm love flowing in the wintertime. 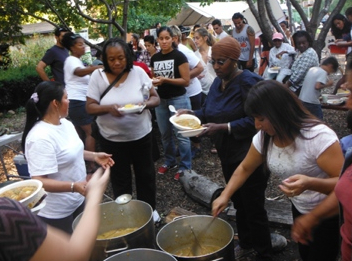 Community Supported Agriculture (CSA) is a community-based movement that creates affordable access to healthy foods for city-residents while allowing local farmers to thrive in an environment that is increasingly competitive and unfavorable. Before the growing season, CSA members purchase a share of food from a partnering local farmer, allowing the farmer to focus on farm duties instead of struggling to secure a customer base and competing against large agribusiness. This year your support has allowed us to provide outdoor educational opportunities for over 1000 youth from the South Bronx and NYC. You allow us to educate young people, regardless of need or ability to pay, through our Environmental Education programs. You enable us to research, document, and organize about the incredible public space opportunities and cultural history of our waterfront, and prevented any work or any public monies released to Fresh Direct. You permit us to celebrate and support the many schools and organizations and the CSA and Farmer’s Market who use Brook Park and make our neighborhood so special. You make it possible for us to move forward on our initiative to divert 1,000,000 millions of rainwater a year from the sewer system to create a wetland habitat that will replicate the historic brook that ran through our community. Thank you from Friends of Brook Park team. Your support is what makes our work possible. Here is a great video from our friends at Rebel DIaz Arts Collective for this time of year, it is called “Thankstaking”. Felix A. Fishman’s deep commitment to helping others, his expertise as a lawyer, and his wonderful and heartwarming sense of humor earned him the respect and affection of those who knew him. Mr. Fishman, a graduate of City College and Columbia Law School, practiced at the law firm of Moses & Singer for sixty-five years. His impressive tenure at the firm included serving as legal counsel for Bankers Trust Company and L.F. Rothschild & Co., among others. During his accomplished career, Mr. Fishman established himself as a talented trusts and estates lawyer and, more importantly, as a lawyer whose work was guided by an unerring moral compass. For Mr. Fishman, a staunch believer in progressive ethical ideals, the capacity to care for others was the true barometer of a successful lawyer. For 31 years, Mr. Fishman also served as a trustee and director of the Henry & Lucy Moses Fund, where he was instrumental in directing hundreds of millions of dollars of support to medical, educational, and other charitable organizations in the New York area. 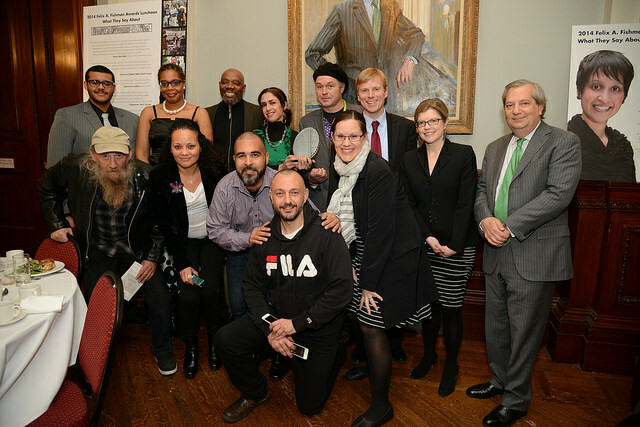 New York Lawyers for the Public Interest is grateful to the Henry & Lucy Moses Fund for endowing these awards in honor of Felix A. Fishman, who shared our dedication to using the law in service of others.